Expedition Health Denver Museum of Nature & Science « Jeff Kennedy Associates, Inc.
Expedition Health, the new permanent exhibition that is the keystone of the museum’s far-reaching $8.7 million Health Science Initiative, gives visitors a chance to investigate how our own remarkable bodies function and change in response to the changing demands of the environment, in ways we can see, measure and optimize. Engaging “all about you” visitor experiences are framed by the compelling story of an authentic Rocky Mountain expedition. 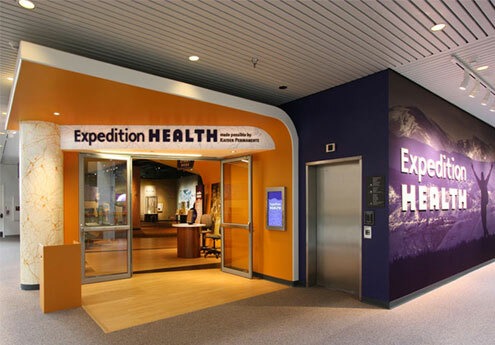 The innovation underlying Expedition Health, recipient of ASTC’s 2010 Leading Edge Award for Visitor Experience, is a pervasively personalized experience in which visitors come away feeling that the exhibition is not just about “health,” but is about them, personally. This important difference is fundamental to communicating one of the top-level messages of the exhibition—that each of us can optimize our own health. Personalization is key throughout the exhibition. 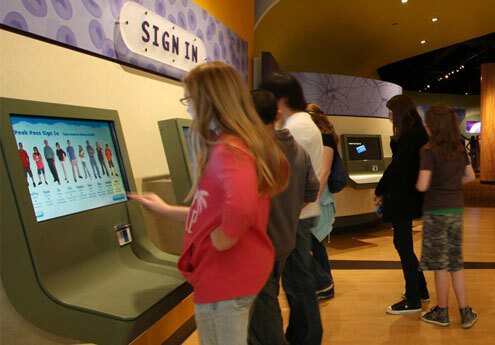 Upon entry, you select a buddy and are issued a Peak Pass that allows you to record anatomical measurements, performance data, images and videos at an array of interactive stations. As the visitor’s buddy explains the phenomenon known as ‘wind chill,’ visitors experience it for themselves by placing a hand in a stream of cooled air and watching a real-time graph of falling temperatures on the side of the hand exposed to the wind, compared to the more stable temperatures of the out-of-the-wind side. A number of Expedition Health components utilize transparent technologies and interfaces to let visitors create and store a visual record of their experiences. In the full-body activity Size Up Your Stride, video is captured as the visitor moves along a 12-foot walkway. 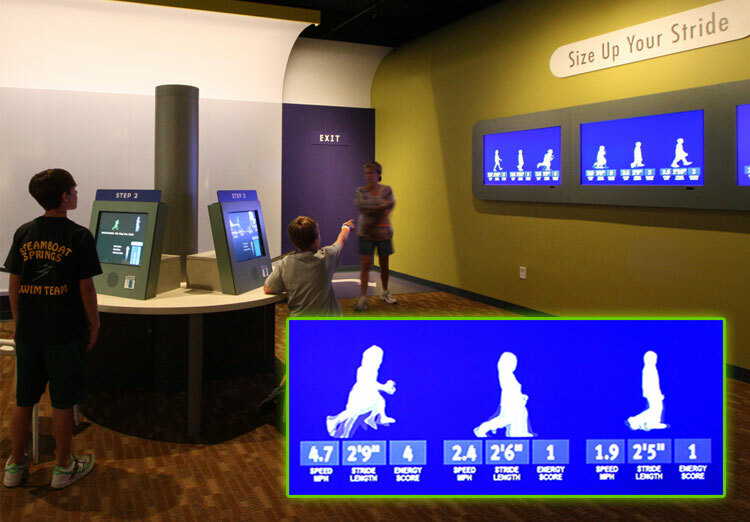 Looping animation of their striding silhouette appears on a large central display, with stride speed, length and “energy score” noted. Visitors can also view and analyze their videos on nearby investigation stations. 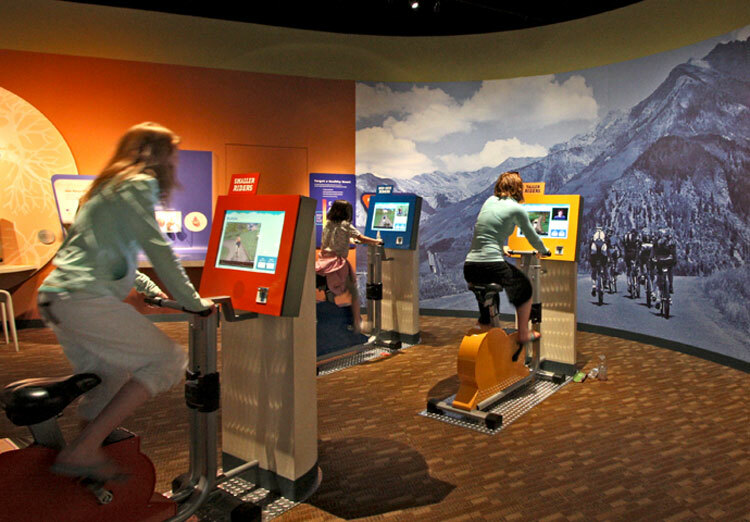 In Front Range Bio Ride, a group of cyclists ride through a networked virtual landscape in which they can race or enjoy a leisurely pace. Sensors in the handlebars measure their heart rate, which is continuously displayed in real time in comparison to a target heart rate for their age and gender. 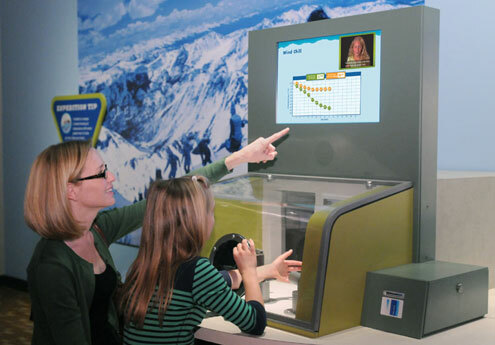 Visitors’ data is saved to the Peak Pass database and becomes part of their take-away Personal Profile printouts. 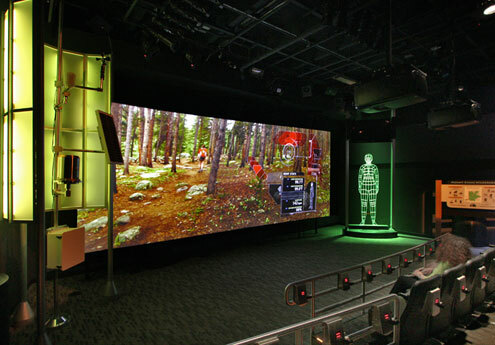 In addition to approximately 5,000 square feet of highly interactive exhibits, BodyTrek, a highly participatory object theater, offers a visceral and engaging look at how our bodies change during an expedition to the 14,000+ summit of Mt. Evans. Sensors measure our pulses and blood oxygen saturation as a trail guide leads us through thinning air, dropping temperatures, high winds, a lightning strike and even a snowstorm. After developing the show treatment, we collaborated with Science North Enterprises, renowned Canadian producers of compelling object theater presentations, who worked closely with DMNS to take this ambitious project through scripting and production. Summit Science Stage, a live demonstration area and hub of facilitated educational experiences, is outfitted with large-screen HD monitors, state-of-the-art projection and audio, and a high-res document videocam. 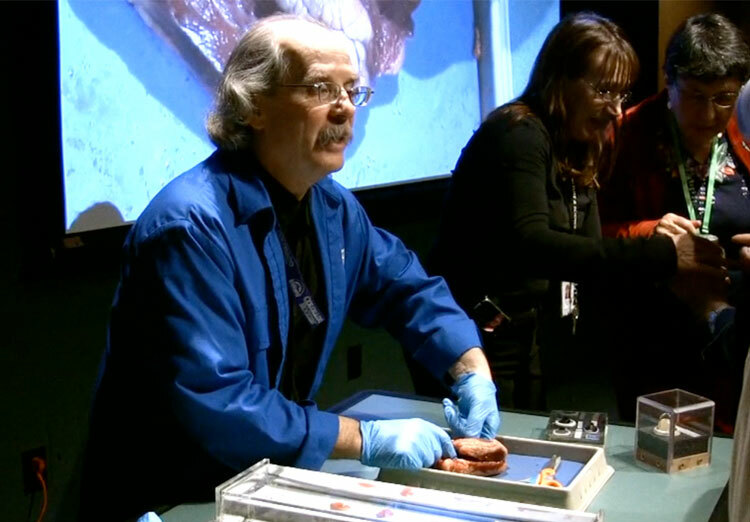 Live shows and science demos are enlivened with hands-on activities and real specimens. 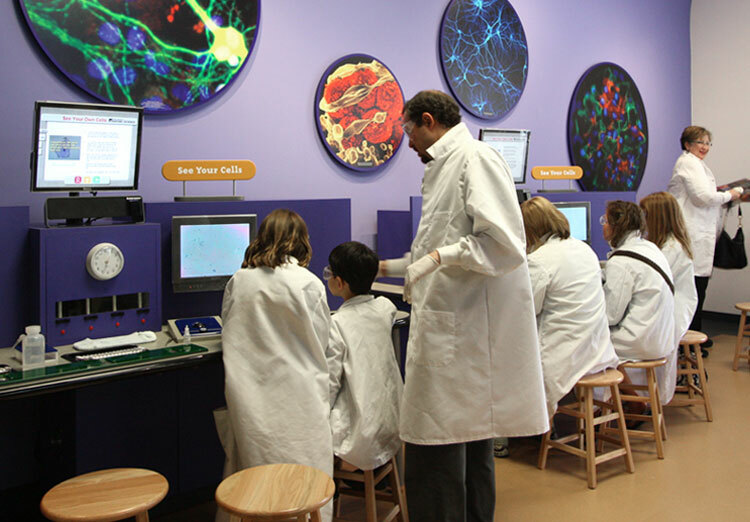 In Biology Base Camp, visitors don lab coats, goggles and gloves and test their hypotheses using the same microscopes and tools found in research laboratories. Groups of visitors work together to test antimicrobial soaps on live bacteria, extract DNA, or test the sugar content of cereal. An adjacent Community Research lab lets them participate in actual research projects and experiments facilitated by DMNS scientists and volunteers. 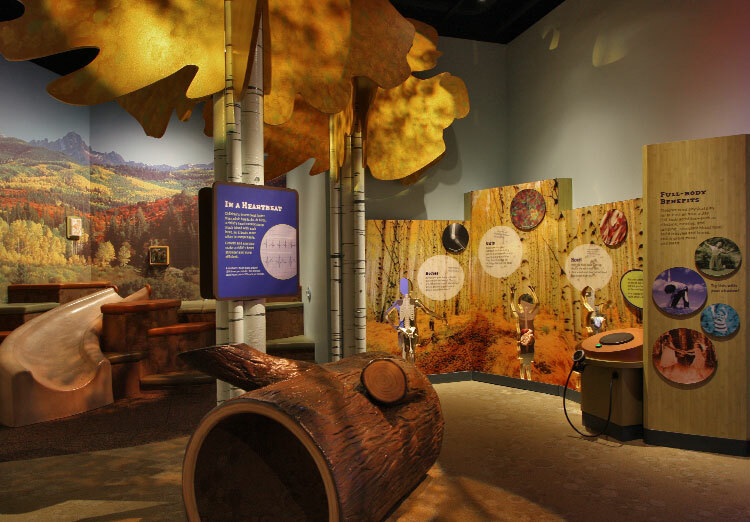 Another special area within the overall 10,000 square foot gallery is Tykes Peak, expressly designed for young learners ages 5 and under. The space provides a mix of full-body activity, dramatic play and multisensory experiences, as well as information for caregivers about the biological basis of children’s behavior. Signing out of Expedition Health, visitors receive their Peak Pass personal profile with name, age, date, buddy’s name and data logged at four exhibit components. 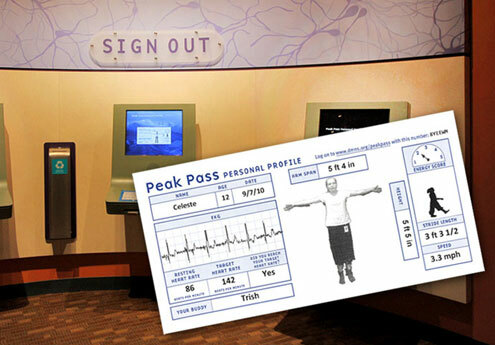 Included on the pass are an EKG image capture, resting and target heart rates, height and arm span measurements with your picture, and stride, with you shown walking in silhouette along with your walking speed, stride length and “energy” score. These and additional data are also available at the project’s secure website. The Peak Pass take-away is the culmination of an experience that is powerful and engaging because it is about you, personally.